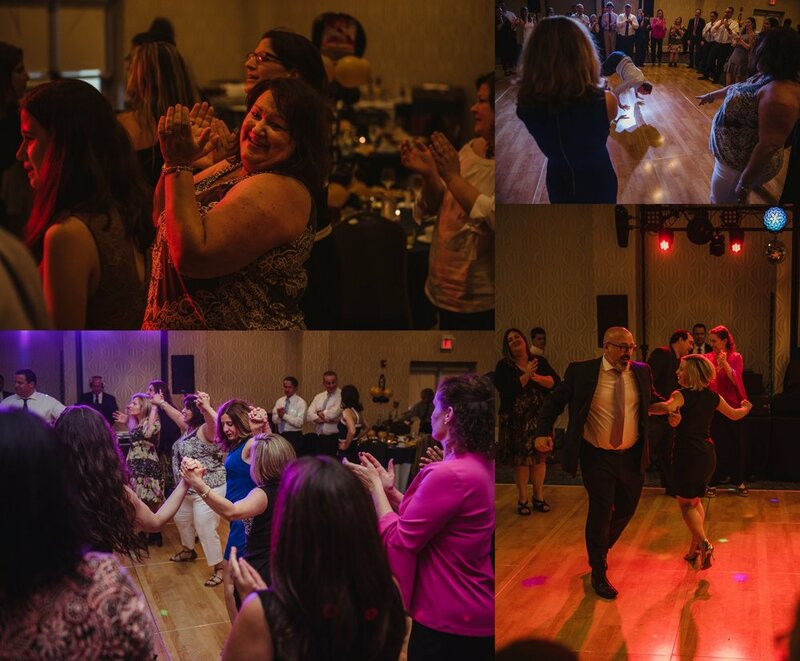 In the Jewish community, to become bar or bat mitzvah means that you're a full fledged member of the Jewish Community. When you turn 13, it's a big milestone! At this point, you have all the rights and obligations as the adults in your community, including the commandments of the Torah. During your ceremony, you're expected to lead the congregation in prayer (in Hebrew, mind you), read and interpret parts of the Torah, give a speech about what you've learned from your teachings, as well as talk about the service project you've completed during all this... it's AMAZING the amount of work and dedication that's required! It only makes sense that after all that hard work, you get a party. A big party. A big party with all your family and friends!! It's amazing and I'm so honored to have been a part of so many in the last couple of years! 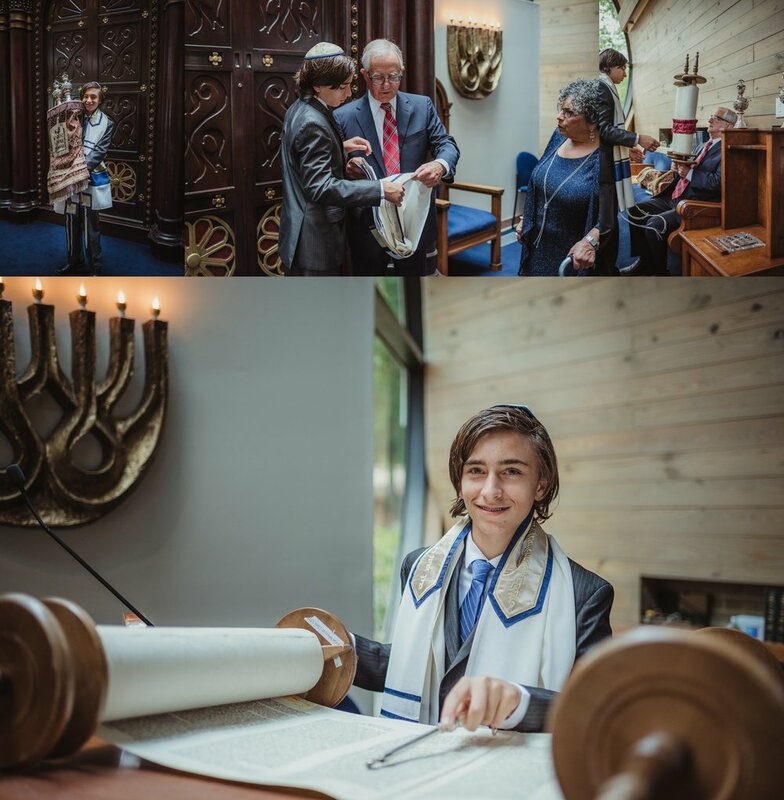 Joel became bar mitzvah on May 26th and it was PERFECT!!! The ceremony at Temple Beth Or was fabulous, as Joel did a wonderful job leading the congregation! His family was so proud and his TBO family surrounded him with so much love. It's always such a joy to witness! 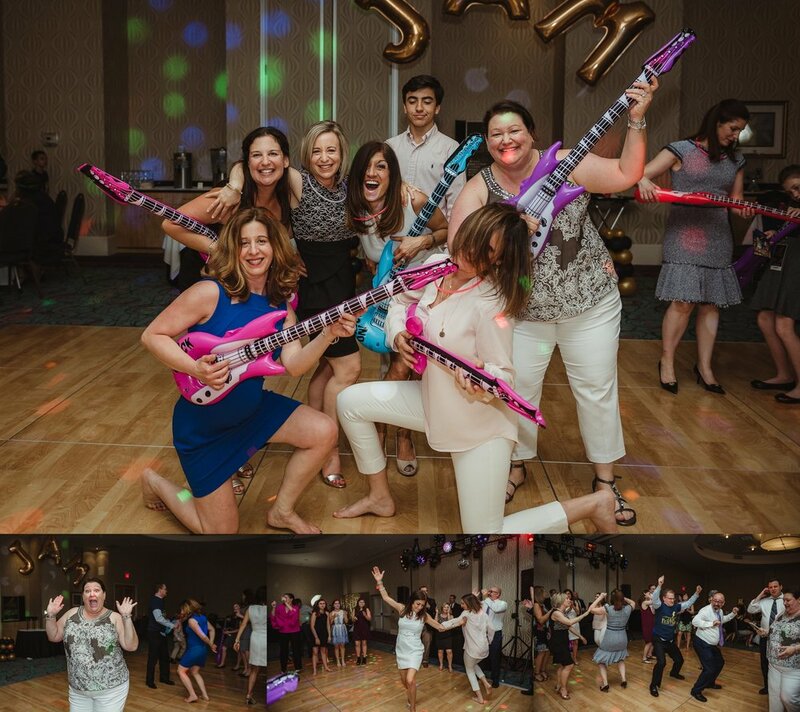 After the ceremony, the music-themed party got started over at Embassy Suites at Briar Creek in Raleigh. Each table was named after one of Joel's favorite bands (although I was a bit partial to the Sublime table, not gonna lie) and all the kids wore backstage passes! There were hand-made t-shirts, a guitar for everyone to sign instead of a guestbook, super fun photos at the ZimZoom Photo Booth, and the DJ, Brian of McSound Productions, kept all the kids (and adults!) dancing all afternoon! 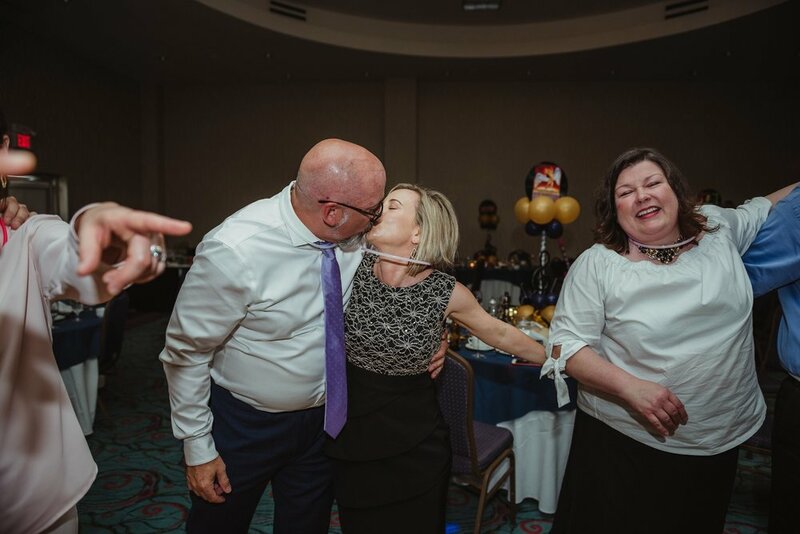 It was SUCH a fun party, and everyone was having a blast!!! Mazel Tov to Joel, and his family Lisa, Chris, and Ben!!! Much love and hugs to you all! Want Rose Trail Images to capture your mitzvah celebration??? Contact us to book today!